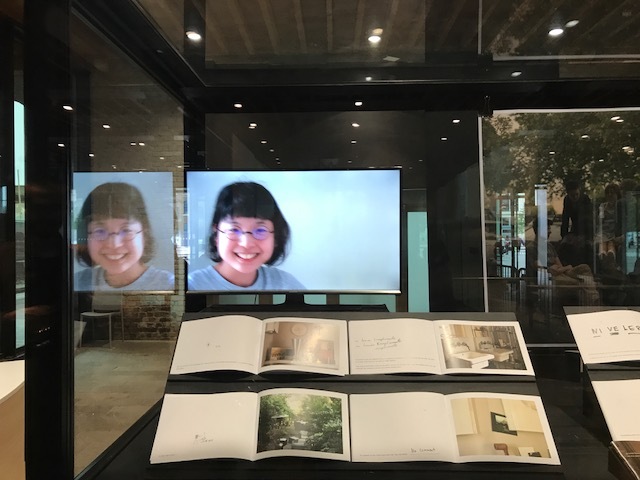 All the space and time I left behind me is a booklet that I have conceived and composed with Mayumi Arai a Japanese PHD student conducting research on the Home Movie or Family Film. The booklet was presented as part of a larger work by Mayumi which included a video ‘about me’, in CSM in June. Mayumi stayed with me during the six weeks of her residency in London and we became very close very quickly. I became the ‘object – subject’ of her work in London. We made the booklet together within a week, Mayumi took the photographs and I wrote and draw the little sketch-diagrams. Mayumi wrote “Lorraine has recently gone through a second divorce and has been talking to me almost everyday about Brexit, her ex-husband, the new handsome French president, her art work and solo show at her studio, neglect from her son, moving and selling her house, finding new flat (and perhaps finding a nice guy?). She confronts all these different kinds of issues at the same level. She is still looking for her ‘new place’. She taught me a French word; ‘niveler’, which mean ‘equalize’. Lorraine structures her life like putting objects on a shelf”.